Claude Elwood Shannon (April 30, 1916 - February 24, 2001) was an American mathematician, electronic engineer, and cryptographer. He is known as the father of information theory. 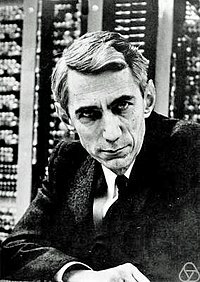 Shannon founded the information theory with one landmark paper published in 1948. This page was last changed on 7 September 2018, at 15:04.